As part of the Explore Your Archive campaign the Special Collections team will be hosting two events. 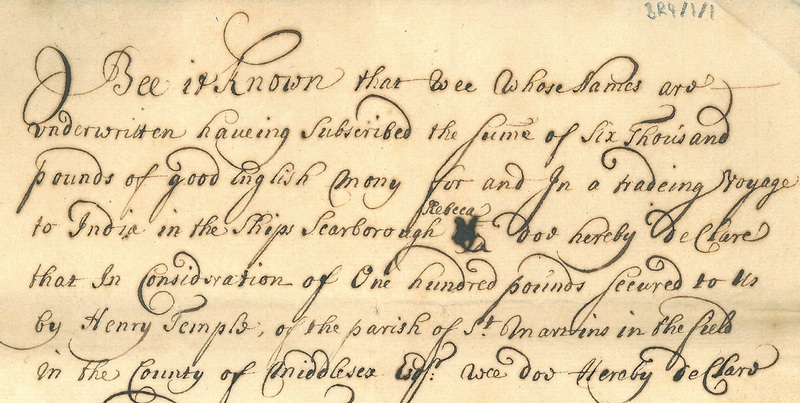 On Wednesday 22 November, there will be a drop-in session highlighting an array of material from the manuscript and printed collections relating to protests, rebellion and revolution. Come and find out about protests and revolts, from the Peasants’ revolt of 1381 to the Swing riots in Hampshire of 1830, the Southampton Dockers’ strike of 1890 and the General Strike of 1926. 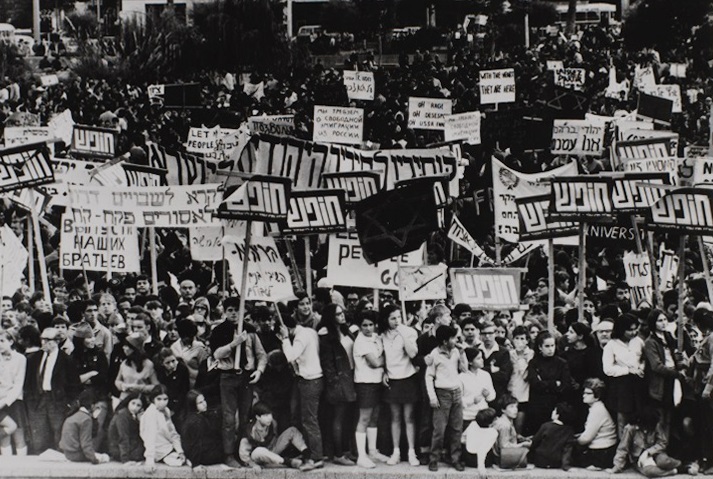 Protest groups and student activism also are represented, with material relating to groups established to combat fascism in the 1930s and 1990s, student action against apartheid, and the work of the “Women in Black”: 35s, the Women’s Campaign for Soviet Jewry. Also on display will be a range of material focusing on revolutions, including the English Civil War, the French Revolution, the wars for independence in North and South American, and the European revolutions of 1830 and 1848. Book your ticket on Eventbrite (https://www.eventbrite.co.uk/e/exploring-protests-rebellion-and-revolution-in-the-special-collections-tickets-39658571856) to reserve a place or feel free to drop by on the day. The event will run from 2-5pm. All are welcome! Please feel free to share. Visitors may be asked for photo ID by Library Reception staff. The Special Collections team will also be taking part in the Hands-on Humanities day on Saturday 18 November, 1030-1630, Avenue Campus. Today, 10 December, is Human Rights Day. Observed by the international community every year it commemorates the day in 1948 when the United Nations General Assembly adopted the Universal Declaration of Human Rights (UDHR). The Declaration arose directly from the experience of the Second World War and represents the first global expression of rights to which all human beings are inherently entitled. It was a milestone document in the history of human rights. Proclaimed as a common standard of achievements for all peoples and all nations, it sets out, for the first time, fundamental human rights to be universally protected. We would like to take this opportunity to share with you a significant collection which relates to human rights. The philosopher Jorge (George) Santayana (1863-1952) famously said “Those who cannot remember the past are condemned to repeat it”; the preservation of archives is crucial to the maintenance of our collective memory. The need to record and preserve is illustrated by the founding of the Institute of Jewish Affairs (IJA) in February 1941 as a research institute to provide analysis of political, legal and economic issues affecting Jewish life. It was launched and sponsored by the World Jewish Congress (WJC) and the American Jewish Congress. In 1994 it was re-established in London as Institute for Jewish Policy Research. The Institute’s founder Dr Jacob Robinson argued that Jewish leaders, struggling for the interests of the Jewry after World War I, were hampered by the lack of up-to-date information and by the lack of research. The Special Collections holds over two thousand four hundred archive boxes of material generated by the IJA providing an extensive source for the study of Jewish peoples in the mid and late twentieth century. Topics covered include various aspects of human rights and civil liberties, genocide and war crimes, as well as extradition, torture, terrorism. 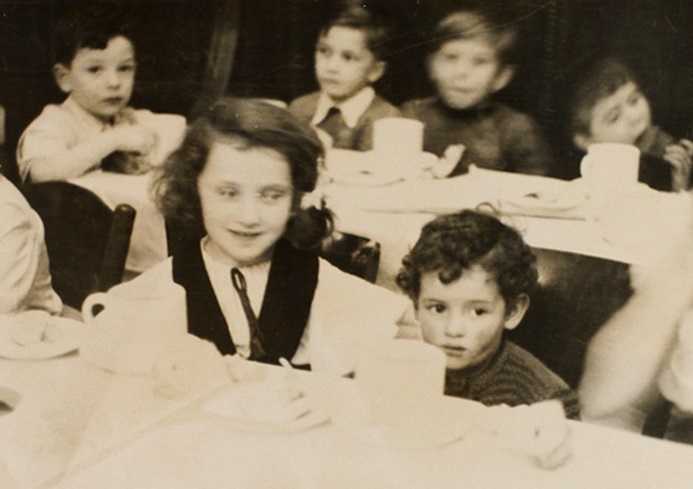 The image above comes from a file relating to Dr Stephen Barber’s “children’s scheme” providing assistance to Jewish children, many of them orphans, in the years following World War II. This file relates to Czechoslovakia. In his papers Dr Barber describes a scheme to send 100 children, many of whom were suffering from TB, to Switzerland to recuperate. He gives details of orphanages which were being established for the children and he makes a particular appeal for clothing for them. By the mid-1950s, state persecution of Soviet Jews was a major human rights issue. Throughout the 1960s and 70s, large numbers of Soviet Jews applied for exit visas; while some were allied to leave, many were refused permission to emigrate; they unofficially became known as refusenicks. 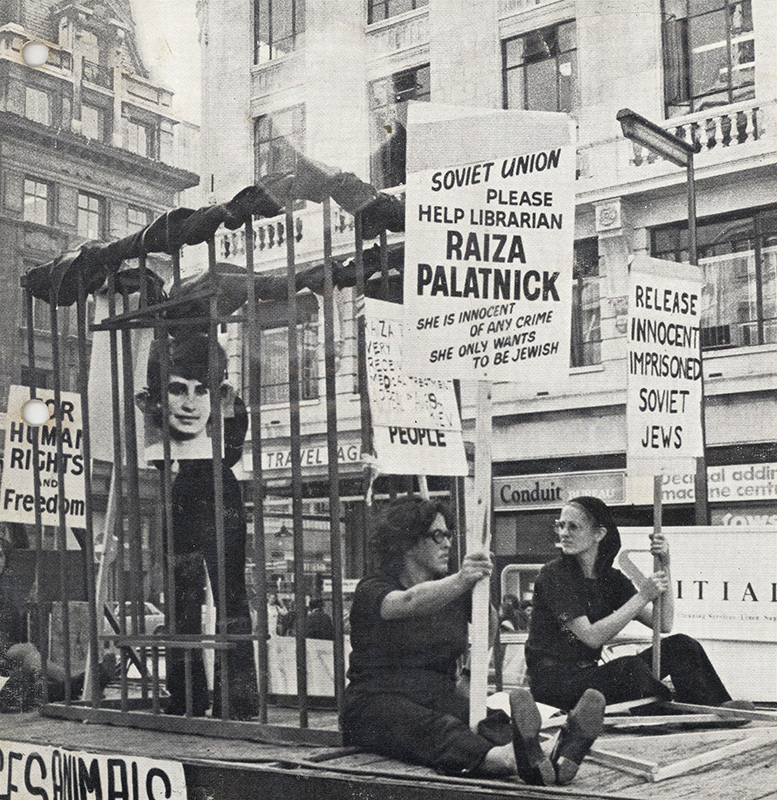 This photograph comes from a file of press service cuttings giving information on protests in the name of the refusenicks including details of the work of the Women’s Campaign for Soviet Jewry. The plight of the Czech orphans and the Soviet Jews are just two of many human rights issues covered by the IJA papers in the Special Collections. Human Rights Day is observed annually across the world on 10 December. It marks the date the United Nations General Assembly adopted the Universal Declaration of Human Rights (10 December 1948), the first global enunciation of human rights. The Declaration begins by recognising that “the inherent dignity of all members of the human family is the foundation of freedom, justice and peace in the world”. It declares that human rights are universal – to be enjoyed by all people, no matter who they are or where they live. Today, the Declaration continues to inspire the human rights movement and has had a profound influence on the development of international human rights law. The Soviet Jewry movement emerged in response to the Soviet Union’s Jewish policy which was seen as a violation of basic human and civil rights, including freedom of immigration, freedom of religion, and the freedom to study one’s own language, history and culture. The Women’s Campaign for Soviet Jewry, known as the 35’s, was a pressure group established in London in 1971 with the aim of assisting Russian Jews wishing to leave the country but refused permission. It was originally formed in response to the arrest of Raiza Palatnik, a 35 year old librarian from Odessa. Raiza had been sent to prison after being convicted of “slandering the Soviet Union” for applying to leave for Israel. The group was primarily made up of relatively young middle-class Jewish housewives from North West London. They were a unique phenomenon among the Jewish community in Britain and were active at a time when it was unheard of for Jewish women to go out and demonstrate. They maintained direct contact with refusniks (an unofficial term for Soviet Jews denied permission to emigrate) to give them moral support, and worked tirelessly to highlight their position. They achieved this through a series of active and unexpected demonstrations, particularly at Soviet cultural events. One such demonstration took place at a performance by the Bolshoi Ballet in London where the women revealed slogan t-shirts beneath their blouses as a mark of protest. In addition to such demonstrations they lobbied government officials and Members of Parliament. The collection held by the Special Collections Division contains files of biographical information and case papers for refusniks; campaign correspondence, including letters to Members of Parliament; master copies of publications produced by the Campaign; newspapers; photographs, banners and other items, including handcuffs, from demonstrations.